Human intestines play host to organisms known as tapeworms. These tiny worms are flat and segmented in appearance. The primary reason for tapeworm infection is the consumption of undercooked meat from animals that are infected. This parasitic infection in animals is caused while grazing in fields and drinking contaminated water. Even though tapeworm infections in humans cause minor symptoms and are easily treatable, some cases might experience serious and fatal problems. Therefore, it is mandatory to be aware of the symptoms and be capable of protecting yourself and your family. People are usually infected by one or more of the six species of tapeworm. They are identifiable by the animals from which they originate. Tapeworms are known to have a lifecycle consisting of three stages – egg, larva and adult. It is in the adult stage that the worm is capable of producing more eggs. Since it is possible for the worms in their larval form to penetrate the muscle of their hosts, the infection occurs on consumption of undercooked or raw meat from an animal that has been infected. These symptoms may or may not be necessarily resulting from a tapeworm infection. 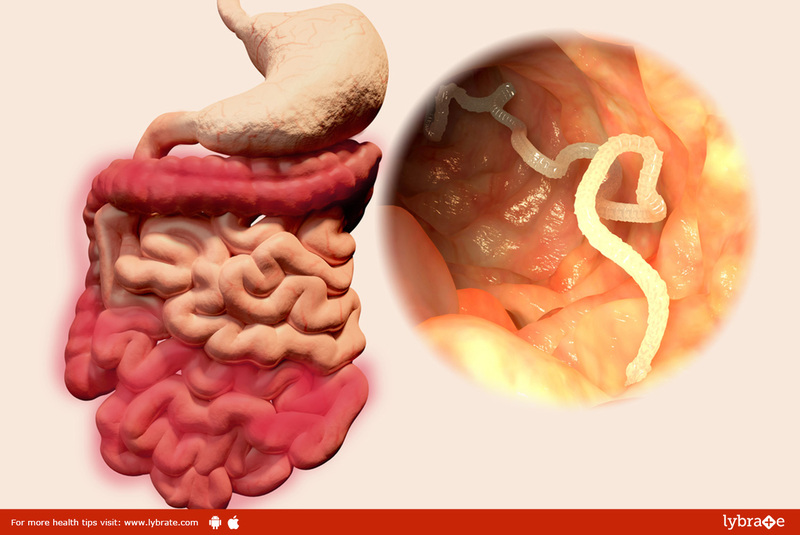 The only definite sign of a tapeworm infection is that some segments of the worm, possibly moving, might be during a bowel movement. It is very rare that a serious complication is caused due to tapeworms. Yet, one such complication would be blockages occurring in the intestines. If the larvae moves out from the intestine, they might migrate to other organs and in turn, cause damage to the liver, heart, eyes and brain. Some of these infections might be fatal.